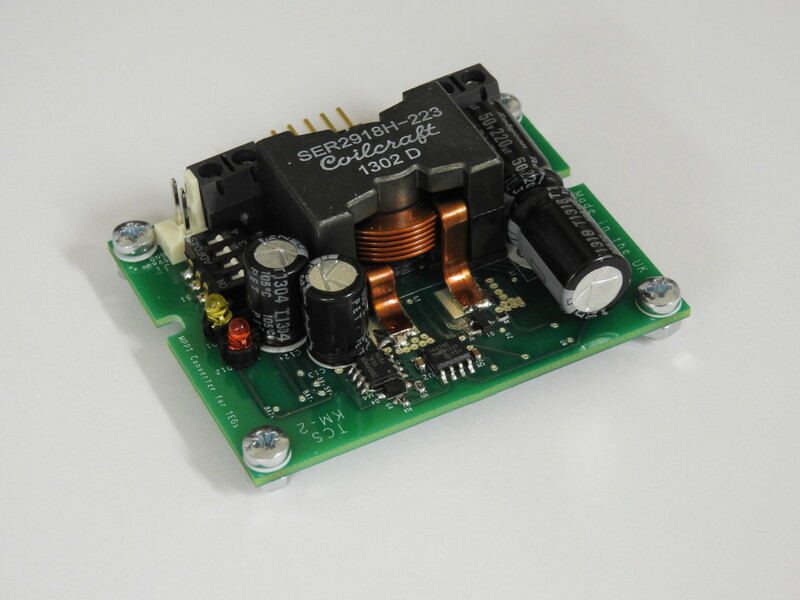 The KM2 MPPT Converter is a dc-dc converter that interfaces the load to the thermoelectric generator. It ensures that the output power is continuously maximised for any given thermal condition. 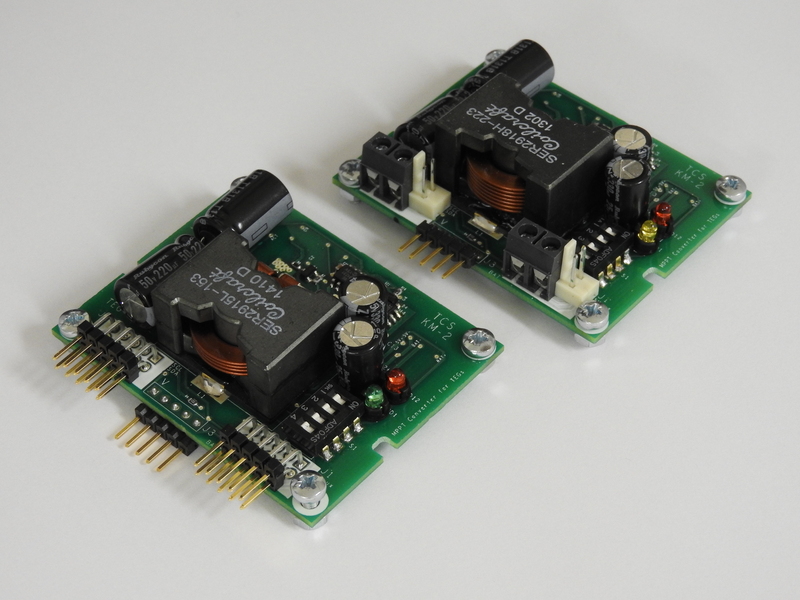 The output of the KM2 converter is ideally meant to be connected to a 12V battery . It always needs a 10.5 to 15V at the output (to power the control system) and means to absorb the power generated by the TEG system. This can be a battery (with load to prevent over-charging if continuously operated for a significant period of time) or the combination of a 12V power supply (just a few 100mA) and a constant voltage electronic load. The KM2 is intended for a “final” application in which TEGs are always operated at maximum power and the generated power is stored in a 12V battery. An optional interface board, KMi, can be supplied to display operating input and output current/voltage/power. Optional backplane motherboards are available to accept multiples of 4 KM2s, with total power ratings from 250W. They mount the KM2s flat and include a main microcontroller for I2C and USB communication, current sensing and optional display.